The most successful soccer club in German history, FC Bayern Munich, takes no chances when it comes to looking after its home ground, Allianz Arena. To ensure its players get to play on the best turf, its greenkeepers are using modern-day technology to assist the 118-year-old club. As with many stadiums around the world, Allianz Arena has areas in shadows at particular times of the day and some areas are exposed to more rain, wind and sun than others. To overcome this, hundreds of sensors are placed in the turf with data sent to a cloud-based, IoT operating system from Siemens called MindSphere. Data from the playing field is delivered to the collector box once per minute. MindSphere evaluates the data, formulates action recommendations and converts both into clear diagrams. The greenkeeper keeps an eye on the turf via a smartphone — and he’s immediately provided with specific action recommendations. The greenkeepers can then undertake the appropriate action to ensure the ground is kept in perfect condition. Weather data and forecasts are fed into the system to ensure the app has all the relevant information to make a correct decision about the sacred turf. This use of data provides Allianz Arena with an advantage that the turf is always in the best condition. That in turn provides the best opportunity for Bayern and opposition Bundesliga teams to play at an optimum — and entertaining — level. “The lawn is tremendously important to us. It’s important for a good game, it’s a major cost factor for us and it presents a number of risks if it isn’t in excellent shape,” said Jürgen Muth, CEO of the Allianz Arena. The developers’ expertise lies in data analytics, and that involves analysing the data, visualising it and predicting future developments. The 30-year-old obtained his Masters degree in International Information Systems — a new name for business informatics — at Friedrich-Alexander Universität Erlangen-Nürnberg (FAU). He’s been a project manager and data analyst at evosoft for over five years. In addition to the greenkeeper, the important project partners and grass experts include the scientists at the Technical University of Munich. The developers glean in-depth knowledge of the ‘sacred turf’ from employees at the Dürnast Greenhouse Laboratory Center. For example, how long should grass be lit during the winter months, and at what point does the energy invested no longer provide an added benefit? “MindSphere makes it easy for us to access the data, visualise it and hand over the results of the analysis to the user,” said Oyntzen. Even if that user is as experienced a greenkeeper as the one who works for FC Bayern. But app or no app, will he give up standing on his lawn just after sunrise, day after day, summer and winter, feeling the grass under his feet and watching it grow? Who knows? At least now — thanks to the app — he can also listen to it growing. At Digitalize 2018, local and global experts will be engaging in keynote sessions and panel discussions around how Australian businesses across various sectors can unlock their potential with the use of digitalisation technology. Visit https://siemensdigitalize2018.com to learn more about the event. 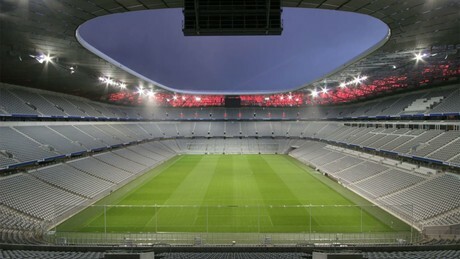 Top image: Allianz Arena, Munich. Source: fcbayern.com. How to avoid 'pilot purgatory' when it comes to predictive analytics software.